Honey Bee and Crabapple photograph for sale as Fine Art. 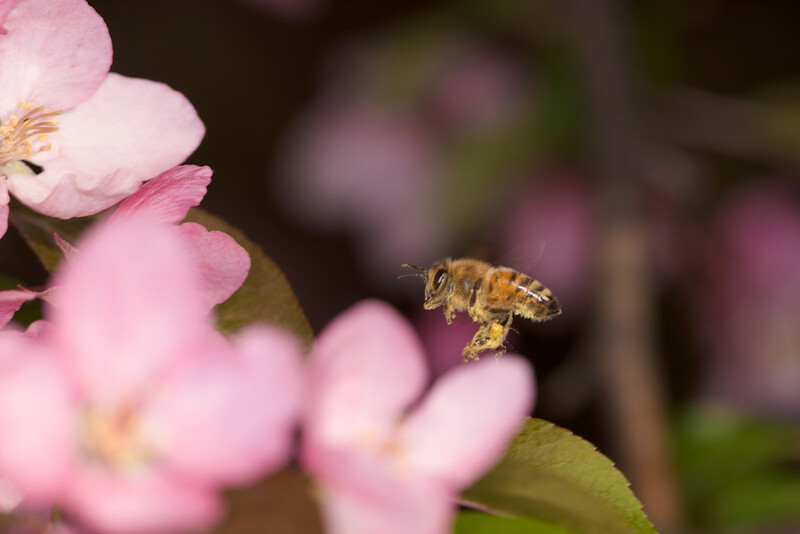 A honey bee (Apis mellifera) is caught in flight, working Crabapple flowers. Its legs are laden with pollen collected for food.